We hold Bempton Cliffs close to our hearts, as our grandfather/great grandfather owned and farmed the land where the reserve and visitors centre now lie. 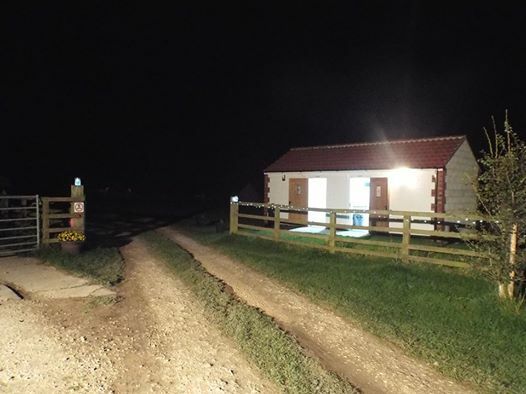 Bempton Cliffs RSPB reserve is only a short stroll from our Yorkshire Coast caravan and camping site. Head on up our private path and through our meadow and you'll be on the stunning chalk cliffs in a matter of minutes (turn left to get to the visitors centre). Bempton and Flamborough Cliffs are the best place in England to see, hear and smell seabirds! From April to August, the cliffs are alive with nest-building adults or young chicks taking their first faltering steps. Between mid-April and mid-July, the much-loved puffin also makes its home here. To find out whats going on at Bempton Cliffs click here.